We have a number of cheap Perivolos holidays that maybe of interest to those seeking a guarantee of summer sun in a laid back setting. If you become bored lazing on the beach or the pool side, there are many excursions you can take around the island. 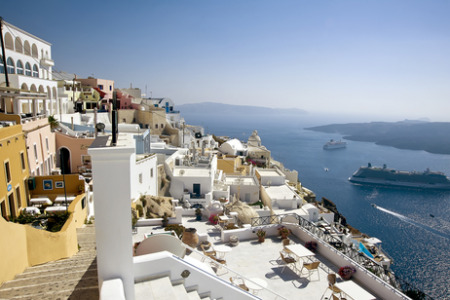 Since shopping in the resort is limited you may wish to take the local bus to Fira which has a plethora of shops. Our Perivolos holiday offers fly from the shelves so book early to avoid disappointment. If you are tired of inclement weather, our selection of low cost Perivolos holidays are definitely worth considering.